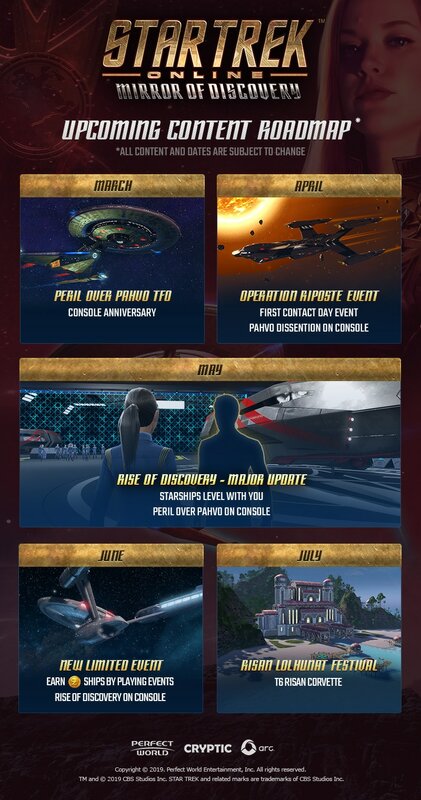 Star Trek Online released a short development roadmap outlining updates players can expect between now and July. The biggest upcoming patch seems to be a major update set for May where starships will level alongside players. Further details will likely be available soon as its only a month away. Star Trek Online remains Cryptic's second most popular MMORPG after Neverwinter. The game averages 1,300 or so players online at any given time on Steam alone according to Steamcharts, which is definitely not too shabby.